Just like a good novel, online store consists of a hundred of pages that build together a solid story. Rip out any of it, and the whole book will lose its sense. Take away a checkout page, and all the transactions will be suspended. But what pages of your online store are really important for a successful retail? Typically, you’d say that these are homepage, product pages, checkout and several more, right? Not exactly. Even though creating/optimizing these pages will take you just a moment, the benefit from having them done good can be significant. Whenever an order is placed or any contact / request form is submitted, it’s likely there’s a “Thank You” message or page that follows the procedure. But a line or two of default text is not enough. 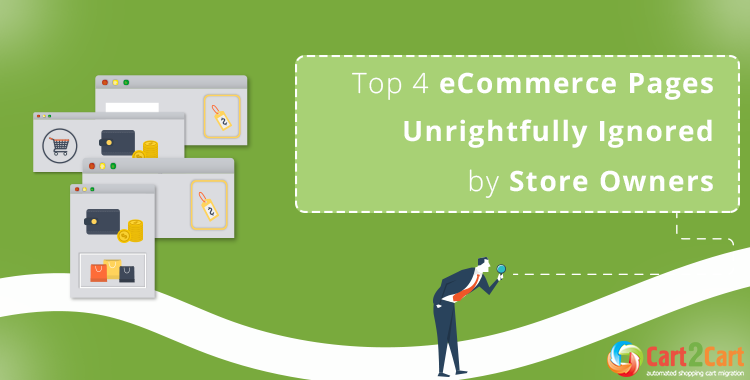 Not all shoppers are satisfied with the fact that the only way to see anything about your shipping rates, delivery times, or carriers is in the shopping cart. Think about the shoppers that need to know if there’s an express delivery or by a specific carrier -- do they really need to waste their time and go through the entire checkout process for such a basic info? We guarantee that a considerable number of potential customers would fall off being unable to find out about available shipping methods and speeds. Whether shoppers who came to your store are looking for something specific or just having a look at your inventory, they are quite likely to use on-site search. But if they search for the product that simply isn’t there and the page you give them is blank, you’re doing it way too wrong. Don’t make your customer feel lost in your own store and want to leave it with a mark of disappointment on their faces. Instead, use the opportunity having them already here: a suggestion to try the search again with different keywords or a link to some of your most popular products will set them straight. It will increase the chance they’ll buy something eventually as well as boost your pages per session rate. If your customers are browsing you category pages, they are very likely not sure what products exactly they are looking for. Thus, you need to ensure they’ll make up their mind by making category pages easy to navigate. For this, add a qualitative copy, large product and relevant header images, product reviews and customer photos that would demonstrate social proof. Ensure those pages are structured properly too, so that your customers could easily use filters, go to subcategory pages or step to another category. In such a way, those purely navigational pages will become a natural part of a sales process. When optimized, these pages will indirectly but help you engage customers more, ease their site navigation and strengthen your brand voice which will end up in higher conversion rates in a long run. To your mind, which of these pages is the most important? What other pages are often overlooked? Leave your thoughts and suggestions in the comment section below.